Sometimes life brings you something WAY better than lemons! Easter weekend my Aunt and Uncle gifted me a box full of goodies from their Michigan-made food businesses, Food For Thought and Esch Road. I’ve been lucky enough to try a couple of their delicious salsas before, and can’t wait to dive into this box! As a thank you, I’ll be sharing a few recipes featuring some of their amazing products. I’m honestly not sure which jar I’m most excited to get into first: Wild Leek Marinara? Milwaukee Bay Spicy IPA Mustard & Rub? 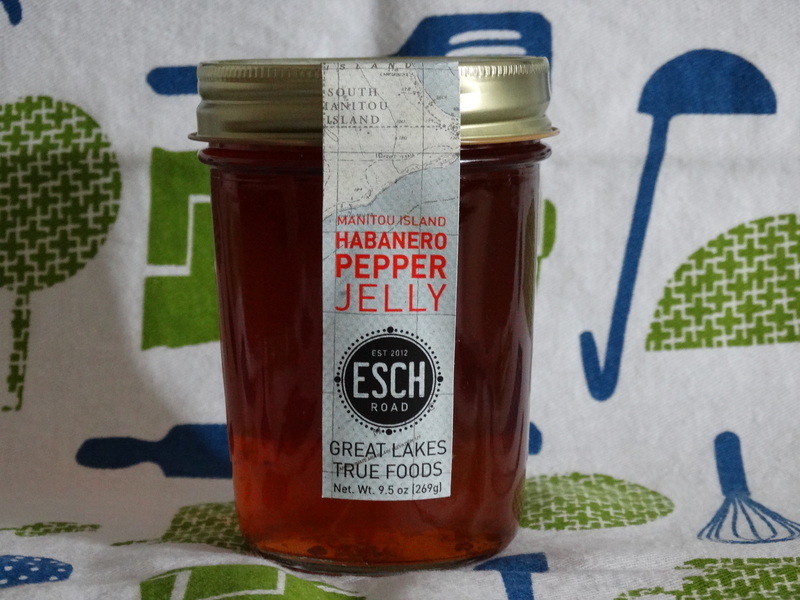 Manitou Island Habanero Pepper Jelly?!? The temptation to open them all RIGHT NOW is brutal. 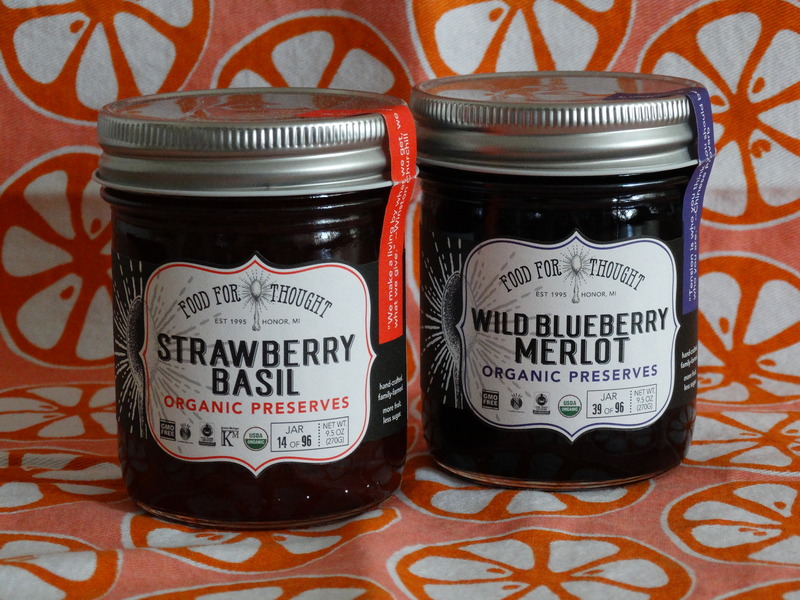 Food For Thought is an all organic brand featuring a wide variety of products such as preserves, salsas, honey, maple syrup, hot sauces, and more. Everything is handmade in small batches…yum! Their jar labels even carry an “edition number” that tells you which jar in each batch you got! How cool is that? 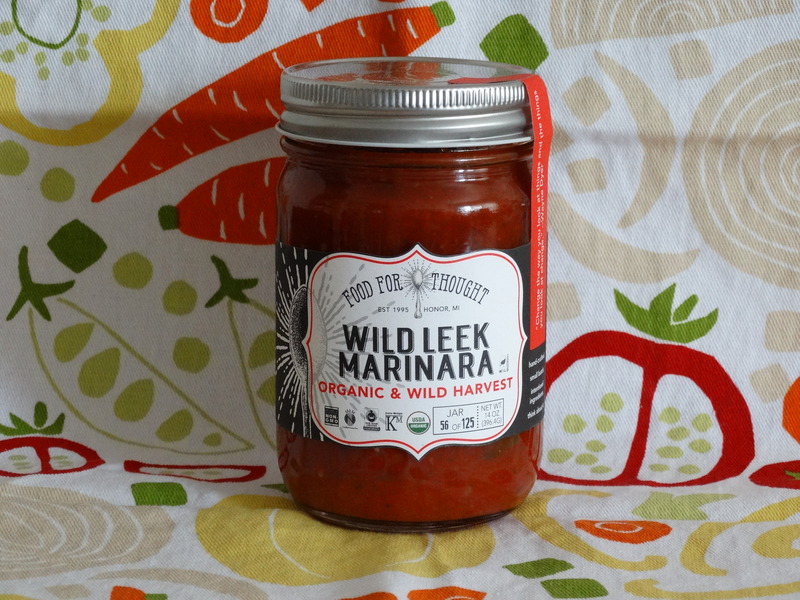 I’m dying to try their Wild Leek Marinara sauce! I have a great idea how to put it to use and plan to share this recipe soon. Right out of the jar, though, I’m sure it’s great over pasta, perhaps mixed with some fresh veggies! You all know how much I love a tasty weekend brunch. I’ve been dabbling in bread-making lately, so I’ll have to bake a loaf or two to slather with their Wild Blueberry Merlot (wine for breakfast? Now we’re talkin’!) and Strawberry Basil Preserves. Butter is optional…but who am I kidding? 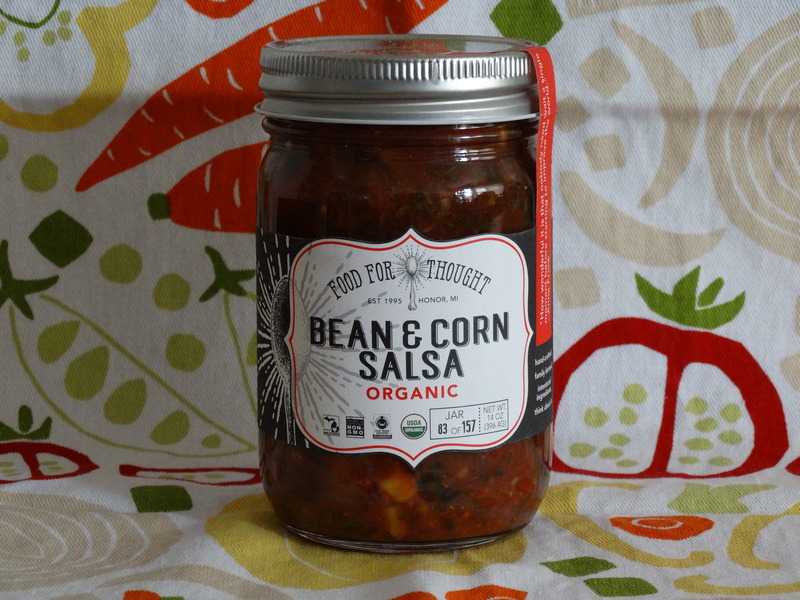 Black Bean & Corn Salsa is a staple in our household, but this one is our new favorite! All organic ingredients and non-GMO? Yes, please! 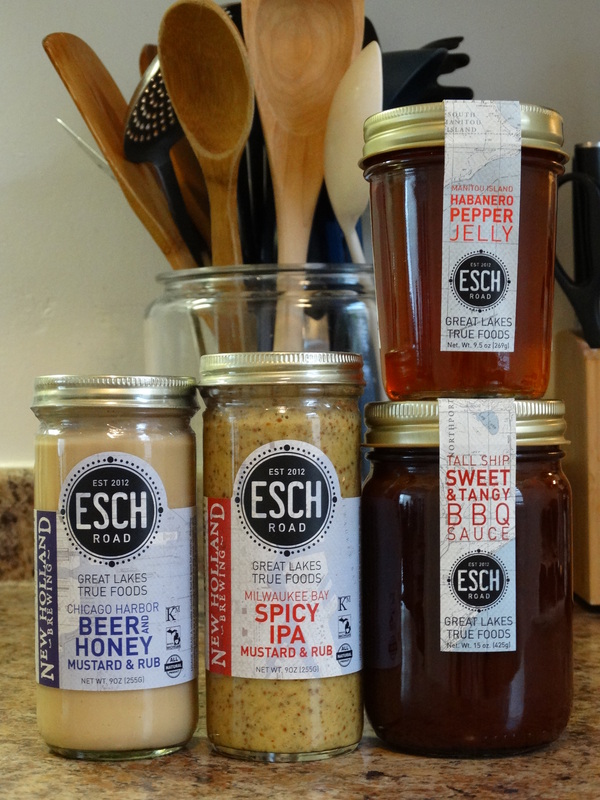 Esch Road products are all-natural jars of heaven! They offer an array of mustards, BBQ sauces, jellies, preserves, and salsas. Holy moly have I got plans for my jar of Manitou Island Habanero Pepper Jelly! Don’t worry. 😉 I’ll share! 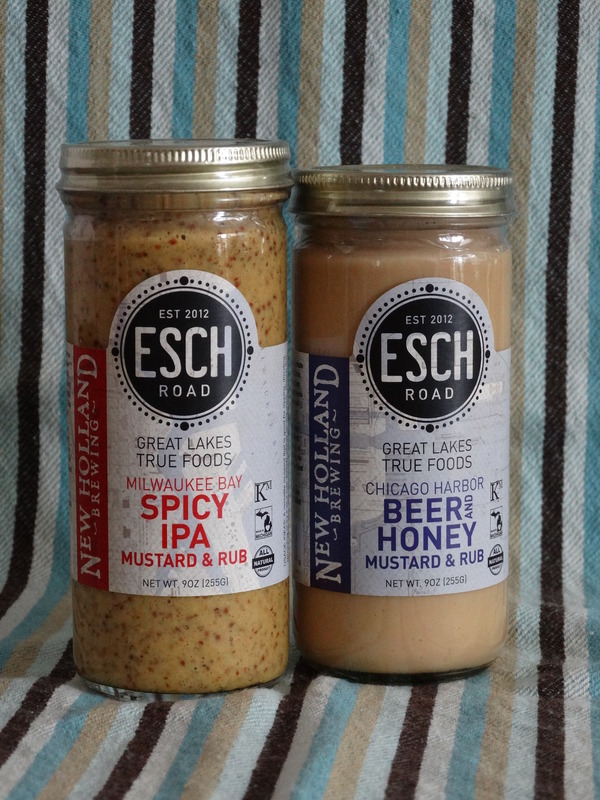 Beer and mustard: two of my favorite things! I feel the need to learn how to make homemade pretzels for the sole purpose of dipping them in either the Milwaukee Bay Spicy IPA Mustard & Rub or Chicago Harbor Beer and Honey Mustard & Rub! 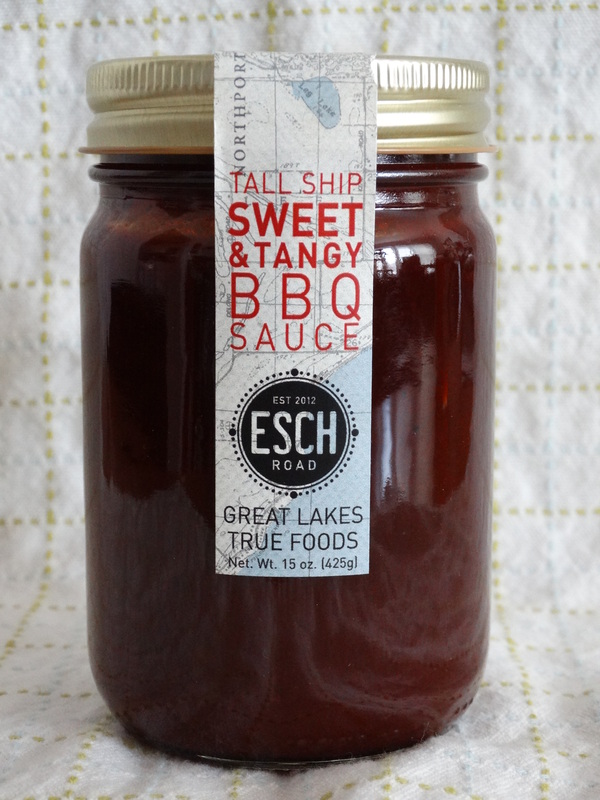 Thank goodness BBQ season is right around the corner because I can’t wait to try their Tall Ship Sweet & Tangy BBQ Sauce! 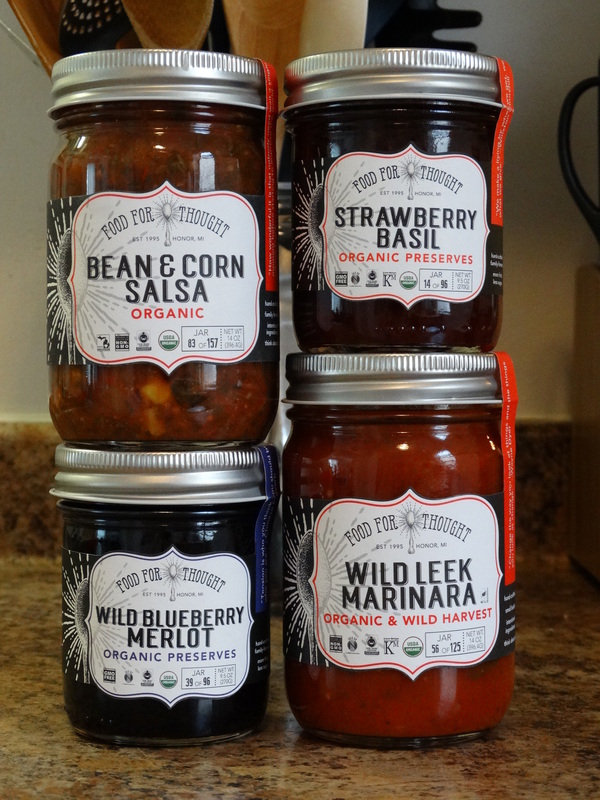 These are just a few of the wonderful products offered by Food For Thought and Esch Road. You can find them at your local grocer, but if not, you can order online through their websites. Better yet, ask your local grocer to carry them! 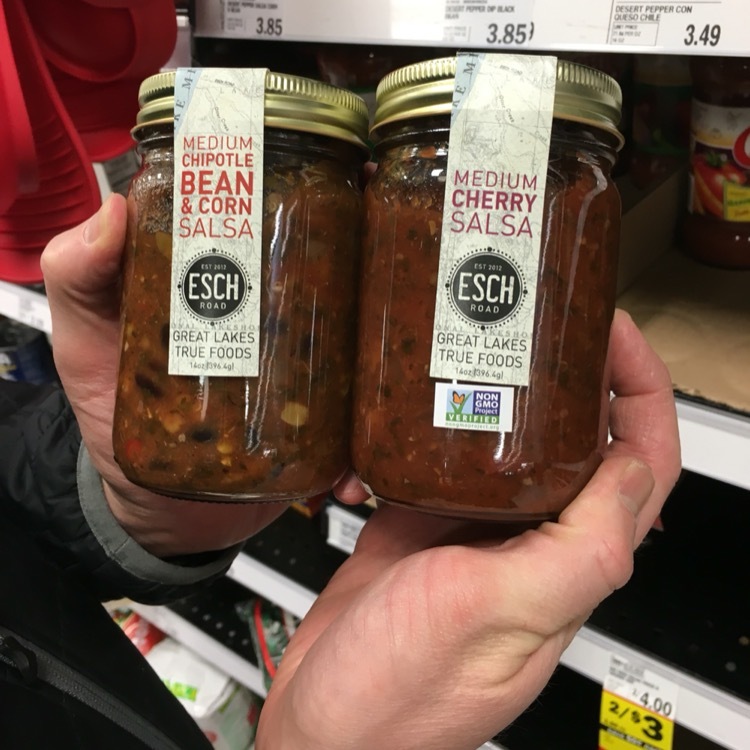 Evan and I came across some Esch Road salsa recently at Meijer! 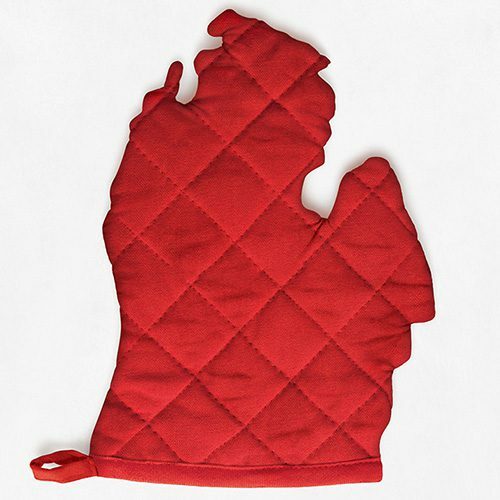 Both companies are located in the Traverse City area of Michigan. If you’re familiar with that area, it will be no surprise that they also offer a variety of local cherry products such as Food For Thought’s Organic Righteous Cherry Habanero Hot Sauce and Esch Road’s Thunder Bay Cherry Poppyseed Dressing.